FRESNO – The Fresno Grizzlies Community Fund’s Farm Grown program will welcome California State Senator Tom Berryhill for the May 17 Farm Forum in The CRU Club at Chukchansi Park. Berryhill, a fourth generation family farmer and two-term state legislator, is also the vice president of Berryhill Orchards, Inc. and the owner of Tom Berryhill Ranch. In addition to Berryhill, Farm Forum speakers include president of California Farm Bureau Paul Wenger and Fresno County Farm Bureau Executive Officer Ryan Jacobsen. Speakers will discuss “Politics of Farming in the Central Valley” beginning at 5:30 p.m. in The CRU Club. Farm Forums are a series of “meet the speaker” engagements in The CRU Club at Chukchansi Park at Friday home games during the 2013 season. The events will provide those involved in the agricultural industry, as well as those interested in agriculture, an opportunity to interact with representatives from government, business, non-profit, education, and health and wellness. Former Fresno mayor Alan Autry will host the 2013 season Farm Forums at every Farm Grown Friday home game. Tickets for Farm Forums include The CRU Club seating for the game. Farm Forums will begin with an informal “mixer” in The CRU Club at 5 p.m. with the discussion panel to start at 5:30 p.m. Please call (559) 320-TIXS for more details. 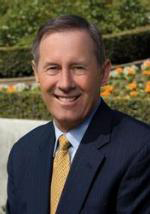 Berryhill was elected as State Senator in 2010 and also served as a California assembly member from 2006-2010. He represents the 14th district in the California State Senate, which includes portions of Fresno, Madera, San Joaquin and Stanislaus counties and all of Mariposa and Tuolumne counties. He is a husband, father of two and heavily involved in Central Valley agriculture. Berryhill focuses on issues that include water supply, public safety funding and farmland conservation issues. Wenger was elected as president of California’s largest farm organization in 2009 after serving as vice president for four years. Wenger grows almonds and walnuts and is a third-generation farmer. Jacobsen is the executive director for Fresno County Farm Bureau and oversees more than 4,000 members. Jacobsen is a fourth generation of two farm families in Fresno County and serves on the Fresno Irrigation District and Ag One Foundation at Fresno State boards. Farm Forums are a component of the Fresno Grizzlies and Fresno Grizzlies Community Fund’s efforts to engage the Central San Joaquin Valley’s strong agricultural heritage with fans at Chukchansi Park. The Grizzlies Community Fund’s Farm Grown program leads the charge for the two organizations as it focuses on building meaningful partnerships in support of education and healthy living.